Join us this year for our Homeschool Days! 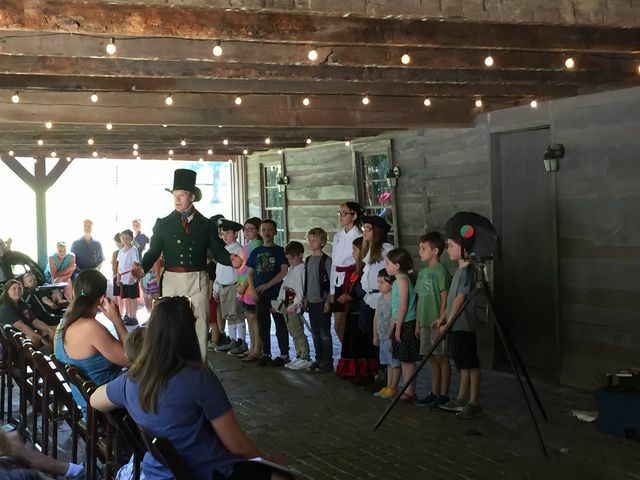 From learning military drills to celebrating the holidays at The Hermitage, our Homeschool Days are full of interactive activities and learning opportunities for the whole family! Below is the full schedule of events and descriptions of each day. For questions, please contact Patrick Martin at pmartin@thehermitage.com or 615-889-2941 ex. 241. Pricing: Adults $16, Children (18 and under) $9 and Family Pass (1 Adult + 3 Children) $40. March 22—Ralph E.W. Earl and His Nashville Museum What makes a museum? Ralph E.W. Earl moved to Nashville to paint portraits of the great hero of the War of 1812 and decided to start a museum while he was here! His museum was a treasure trove of fossils, paintings, and interesting artifacts. Join us as we recreate Ralph E.W. Earl’s Nashville Museum by making portraits, mummies, and laying out their creations in museum fashion—with cases and text labels. Get some hands-on experience as a curator, registrar, an interpreter!